Another Friday, another week’s work done and another week of finding lots of really great things to share with you. Today’s #FridayFinds is all about Dublin’s newest donut spot – Offbeat Donuts. Located on the ground floor of Dublin’s Pearse Street station, the shop can be accessed directly from the station or from Westmoreland street. We’ve been following these guys since before they opened (I was eagerly anticipating it since I live just a few doors down the road) and have been in quite a few times since. But today we decided to properly get stuck into a big box of their treats and let the whole team decide for themselves. We were not disappointed at all. We got a box of 12 different donuts from their range (€24 just incase you want to treat your work pals next week) which you can pick yourself or let them recommend to you. Some of ours included Apple Crumble, Oreo Cookie Crème, Lemon Meringue, Crème Brûlée, Cream Filled Red Velvet and a whole bunch more. 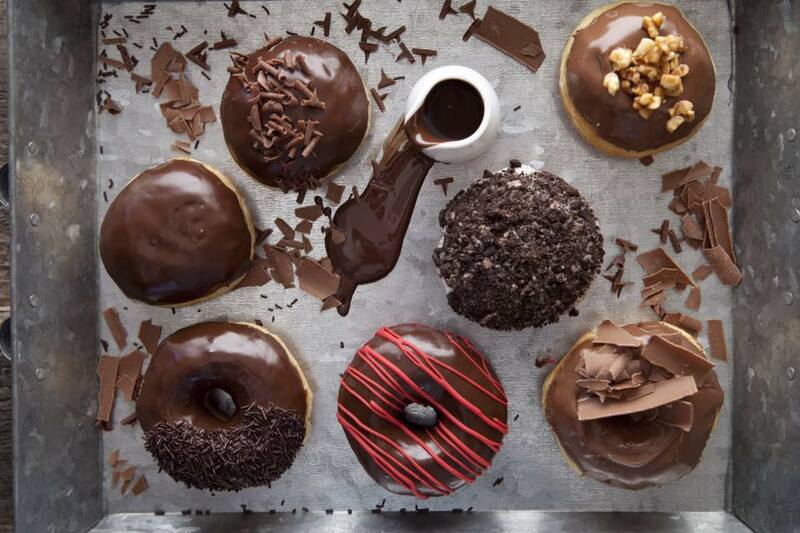 You’re definitely not stuck for choice in this place – they currently have 22 different types of donuts to choose from with more on the way. They also do take away coffee to compliment your donut too. I’ve had quite a few flat whites on my way to the office and their pretty good. More often than not when you find a good speciality food place the coffee they serve is just average. However I’m really impressed with these guys and my order has been on the ball each time. My only complaint about this place is that the smell is just overwhelming amazing when you’re trying to catch a DART. It’s incredibly hard to resist grabbing a donut every morning, so if anyone has any tips on improving willpower, please email me asap.